I cannot download Gtalk new version. What to do? 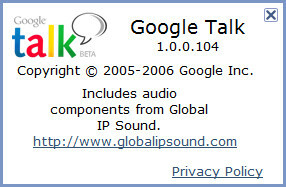 The latest version of Google Talk is 1.0.0.104, but this product has been replaced with Hangouts. Can I do video chatting? If yes, how can I do it? After downloading Gtalk on my Windows 7 neither voice nor video calls work. Why? How to run GTalk if proxy disables it?